We can build a completely custom 500 gallon aquarium (plus bigger and smaller sizes) based on any dimensions and any specifications you send us. That means tall or wide, acrylic or glass, anything. Get in touch with us today for a quick quote and we’ll get back to you as soon as we can. 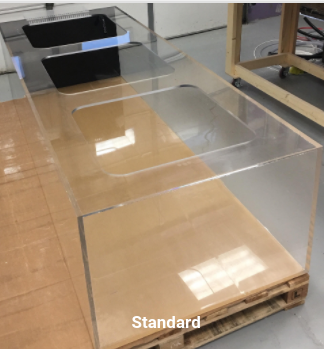 If you’re looking for a custom glass or acrylic 500 gallon tank, click here for a quote.